The most we usually get from HR software are clean and organized interfaces, which do help manage workforce the right way, but will hardly ever entertain us. Many HR producers believe creative engagement distracts visitors from their platform’s functionality, and therefore attach a strictness string to employee management which may not actually be necessary. BambooHR does things differently, and we dare to believe that’s what most of their popularity is based on. A large portion of the company’s marketing and interaction efforts consists of delivering outstanding videos, where users can see for themselves how awesome this product is. What is BambooHR, and what does it do? By definition, BambooHR management software is a popular human resources data management system that improves onboarding experience and measures performance in small to medium businesses. Designed to deliver enterprise-grade functionality, BambooHR transfers all essential HR operations to the cloud, streamlines hiring, and analyzes performance in a brilliantly accurate fashion. For the purposes of this article, BambooHR is a reputed leader in engaging large audiences and making businesses love human resources management. The reason is quite simple: it creates breathtaking videos. BambooHR’s team discovered in time that videos are essential drivers of brand awareness, and pushed them forward long before the product was actually introduced. 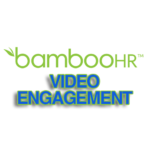 Even nowadays when no HR manager failed to hear about them, their videos remain the official ‘welcoming gates’ towards the system which greet users, and tell them what BambooHR is about. Videos are interesting to watch, and sharing them is way easier than explaining people why they should use this product instead of its competitors. What is more, videos are quite important for engaged users, as feeding them with inside stories and customer cases creates a strong emotional bond. Before you know it, the customer identifies the product wherever he encounters it, and feels comfortable enough not to change it. Obviously, when a product has such a vast array of great features, or is offered in a scheme at least similar to BambooHR price, that’s a piece of cake. But let’s not forget there is more to BambooHR’s videos than their fun vibe: the development team blew hot and cold on many training ideas, but couldn’t find a simpler way to educate current and prospective users than moving animated objects and showing them what to do. That’s why the platform is loaded with free tutorials, including a ‘Hints and Tips’ section for advanced users who wish to make the most of this system. The visual marketing strategy of BambooHR was developed by intern Brenton Williamson, who studied film making at the time, and was looking for a way to expand his skill set. He combined his passion for making videos with the commitment towards the company that made him feel useful, and created something that doubled the company’s customer base. It might be that at the time videos were not such a common practice and BambooHR had an open market to conquer, but we prefer to believe the team was thinking ahead of time, and created a chance rather than used one. Williamson claims it is Ryan Sanders that customers have to thank for such amazing videos, because the CEO persistently advocated involving videos in the company’s business strategy, and believed they can keep it a step ahead of competition. It is only after creating those videos that Brenton understood their magical power for driving interaction, and was put at the head of the company’s video strategy for years to come. Creating videos literally transformed the way BambooHR promoted functionality. As visual content was gaining momentum on the HR market, BambooHR was already pushing an active campaign, and reaching thousands of prospective customers that were in desperate need of fresher HR management. Interestingly enough, the strategy coincided with the big boost of social media, where BambooHR ensured presence way ahead of its competitors. Viewers considered their approach to be smart and involving, and that soon led to more conversions, click-through and email opening rates. The biggest benefit, nevertheless, was making the brand look more trustworthy and professional, as it was the first occasion for customers to meet the team behind their HR platform. A year after their videos went online the company was recording its biggest turning points. As Sanders recalls, many of the talented professionals they have on board at the moment applied for a position because of loving their Careers video. Long story short, BambooHR’s team believes they couldn’t have found a better way to get people acquainted with who they are, and what they are doing. They really managed to tell their company’s story word-by-word, and get customers emotionally involved with their team management strategy. There are many analytic indicators that can measure the success of a particular video, such as views, likes, shares, and comments. For purposes other than detailed reporting, the producer can rely on YouTube or Adwords distribution and click-through rates, but BambooHR developers advise hosting videos with Wistia because of the comprehensive insights it provides. Put this way, and accidently emerging in a social media era, video success is easy to follow, but the truth is it takes more than interaction pointers to know whether it has achieved its objective. Therefore, Williams recommends you to have a clear vision of what your video should achieve. For instance, if you posted a cool Careers video, and it attracted the double of applicants knocking at your door, you’ve certainly succeeded. Objectives don’t only matter in the final stage, but in the planning one as well. Define what you want to accomplish, and organize a brainstorming session with your team. Brenton and his colleague Matt recall such sessions going out of budget (and sometimes out of control), but they bet it was their crazy conversation that brought the best ideas to the table. A good way to collect tricks is to look at other brands that have a considerably smart video strategy, or to connect with users and discover what they want to see.